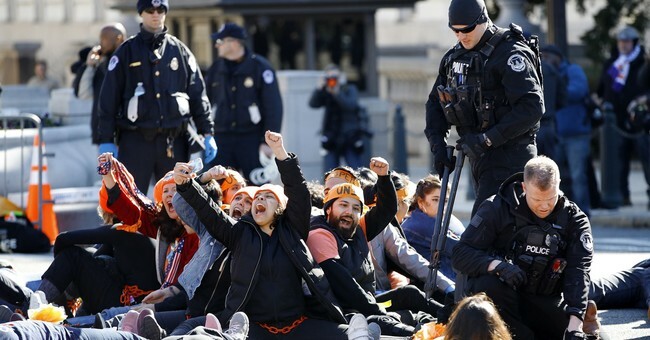 Well, the battle over what to do for recipients enrolled in the Deferred Action for Childhood Arrivals has been thrown back into the frying pan. Like crabgrass, this issue keeps arising—and causing headaches for the Trump administration. The Trump White House decided to gradually phase out the constitutionally questionable program, effectively rescinding an executive order issued by former President Obama. Yet, politically, they couldn’t leave almost one million illegal aliens subject to immediate deportation; the political consequences would be too great. So, they added in a six-month enforcement delay, affording Congress time to pass a DACA fix. For all the lawyers out there, feel free to chime in, but I thought the constitutionally shaky ground for DACA stemmed from the fact that the executive passed legislation. We have separation of powers; DACA crossed that line. And the notion that a succeeding president can’t rescind an executive order of his predecessor sounds ridiculous.